Q: What?s the deal with the archive? Are you really moving it over to MyComicsPage.com? A:Most of it, yes. As many of you have already discovered, uclick (which has been hosting the Doonesbury Town Hall for lo these many years) has recently launched MyComicPage.com, a subscription comics site. For a $9.95 yearly membership, you set up a customized daily e-mail "comics page" with up to 140 cartoon features. Creators get revenue every time you read a strip, and deep archives are planned -- not just the 2-4 weeks of strips now offered by most comics sites. In support of this worthy venture, we?ve decided to limit the archive on the free Town Hall to one year of strips, plus a link to the six strips that ran on the current date 5, 10, 15, 20, 25, and 30 years ago. 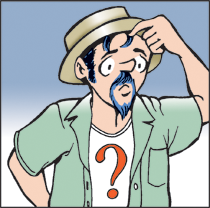 Everything else will soon be moving onto MyComicsPage, so you'll need to sign up there to continue to enjoy unfettered access to the entire Doonesbury run. We apologize to those disappointed by this adjustment. From our point of view it?s for a good cause -- trying to find a viable biz plan that will make comics on the Net a long-term reality.